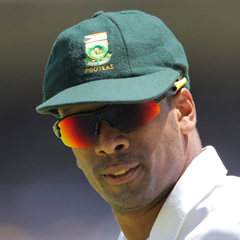 Port Elizabeth - Proteas seamer Vernon Philander will miss the second Test against New Zealand due to a recurring left hamstring injury. Philander experienced tightness on the final day of the first Test match at Newlands, when foot holes caused his front foot to slip while bowling. Rory Kleinveldt will earn his third Test cap for the Proteas in the match starting on Friday, January 11 at St Georges in Port Elizabeth. Ryan McLaren has been added to the squad as cover.